Louisiana Chemical Equipment Co. (LCEC) was founded in 1968 to buy and sell used process equipment and complete plants for relocation throughout the world. 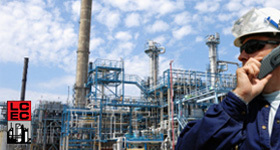 Since our first job for Exxon of Baton Rouge, we have grown into a full service company providing services worldwide. We have offices, storage facilities and complete plants located in North America, South America, Europe, Australia and Asia to better serve your needs.